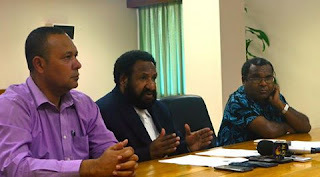 Opposition lawyers are finalizing paper work to file an application in court to nullify the K12.9billion budget passed by parliament this week. Submissions will be filed in court this week or early next week after all is in order. Opposition claims the budget is a scam and was carefully done to manipulate parliamentary procedures to be passed on voices. Opposition will be seeking clarifications on which budget is the correct budget after claiming two (2) separate budgets of K12.9 billion and K21 billion as stated in the appropriation bill.